A gorgeous Canada Heritage designated building. It was completed in 1931 and is considered one of the best urban stations of interwar years. The building's temple facade and the spacious plaza are manifestations of the City Beautiful Movement which marked this period. 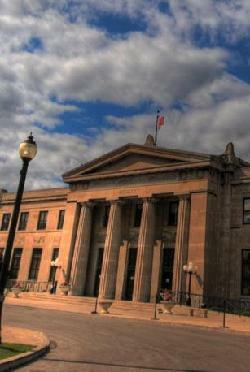 After the World War II the Hamilton CN Station became an important gateway for immigrants to Canada. Beside the building there is a monument to the immigrants. The station is now closed and used as a banquet hall. 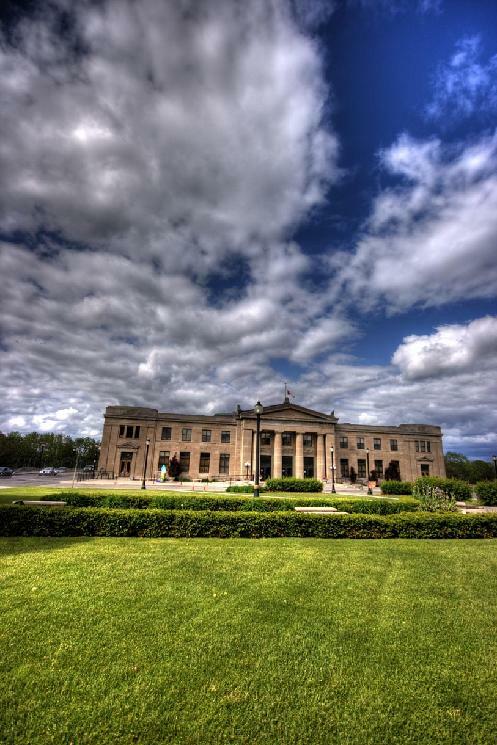 A gorgeous Canada Heritage designated building. 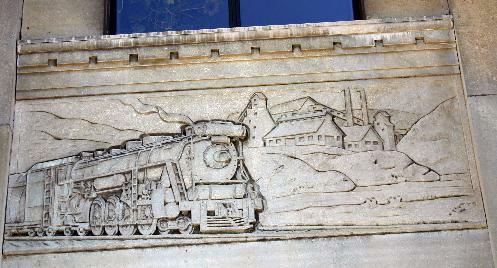 This building recalls the importance of the railway to the development of Canada's industrial cities. Completed in 1931, it combines a strong classical design with a fluid circulation plan, making it one of the best urban stations of the interwar years. Its temple facade and the spacious plaza are manifestations of the City Beautiful movement which marked this period. Strategically located, the station served a community whose fortunes relied heavily on the business and service of the railway. After the Second World War, it became an important gateway for immigrants to Canada. The interior features Art Deco statues and paintings, Italian marble floors and an ornate ceiling. The site, now called LIUNA Station unique, was converted into ballrooms and conference rooms which can accommodate 25 to 700 people for weddings, banquets and conventions. NOTE: My first introduction to this site was in 1996 when I discover the movie �The Long Kiss Goodnight� being filmed. The flick started Geena Davis and Samuel L. Jackson. The station doubled for a train station in Pennsylvania. 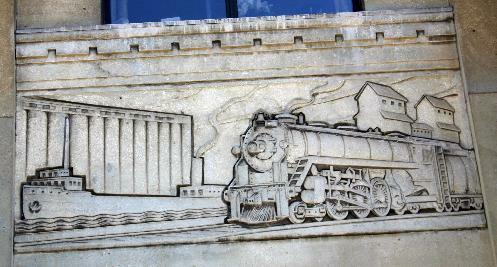 One of the architectural friezes depicting the importance of the railroad in the development of Hamilton. 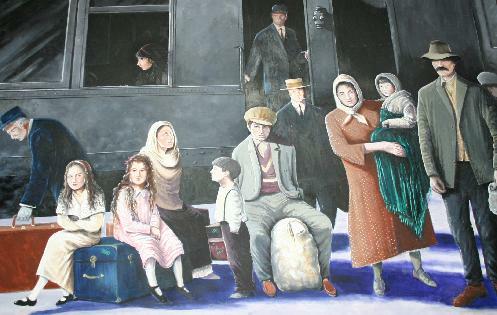 A modern painting depicting the arrival of immigrants to Hamilton. After the Second World War, the Station became an important gateway for immigrants to Canada. A statue has been erected to commemorate the thousands of immigrants to traversed the grounds. The park in front to the station has been named "Immigration Square"
A great picture of the station found on the web.